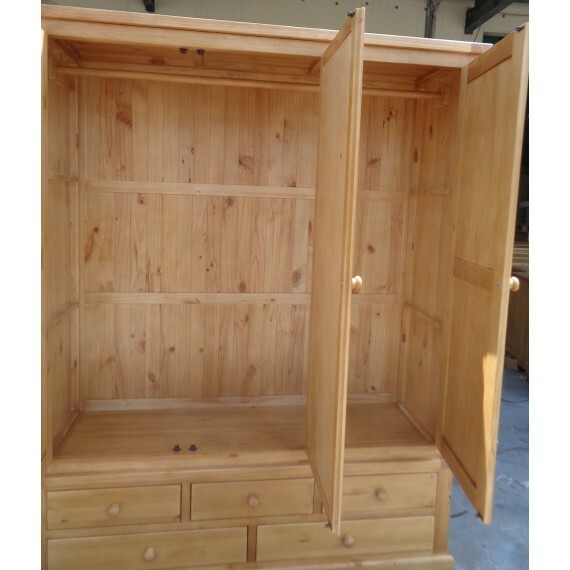 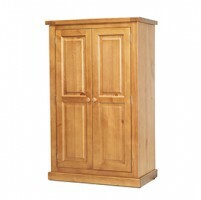 This Chunky Pine triple wardrobe with Mirror offers spacious room for a full width hanging rail and five deep storage drawers to store all your clothes and accessories in an organized area. 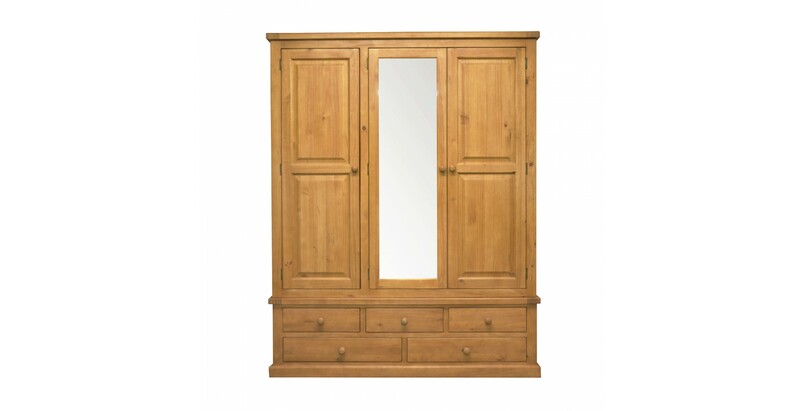 The wardrobe has a wax lacquer finish that makes this stylish wardrobe an essential to your bedroom to give it a timeless look. 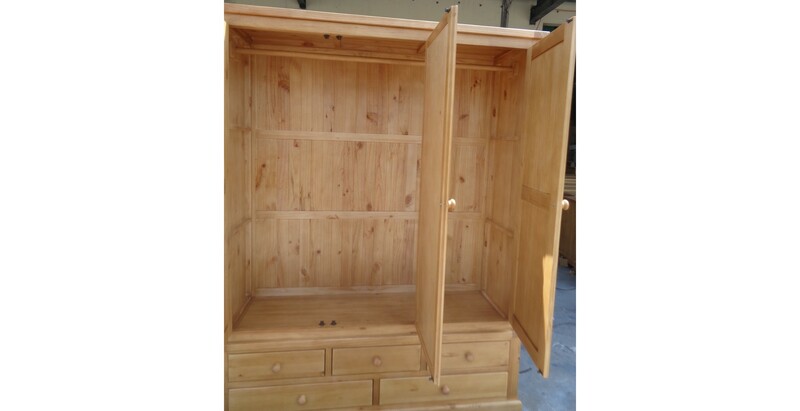 The doors are strong and have pine knobs, the middle door has a full length mirror that gives you a full view to check your appearance. 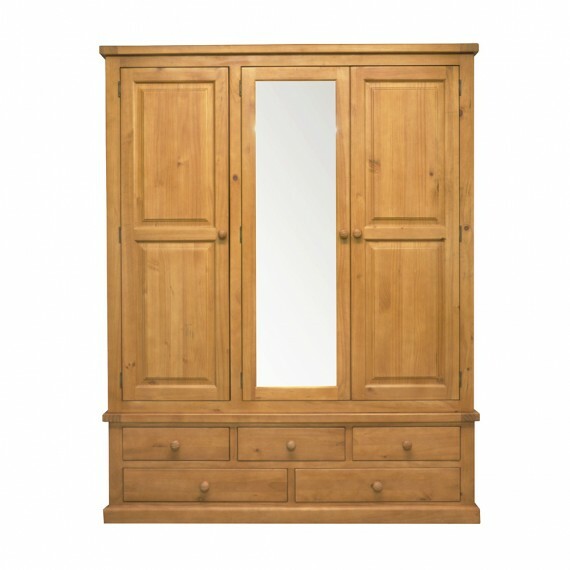 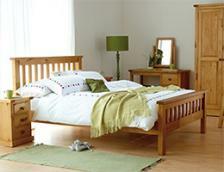 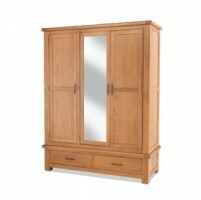 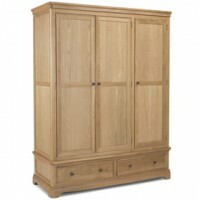 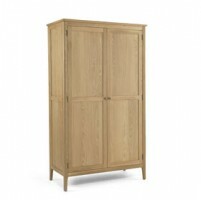 This is the wardrobe that is practical and adds classic styling to your bedroom.